The Health Innovation Challenge (HIC) is an initiative of the Rotterdam Municipality to stimulate care innovation in the Rotterdam region. Startups, SMEs and healthcare institutions are challenged to collaboratively find solutions to health challenges. 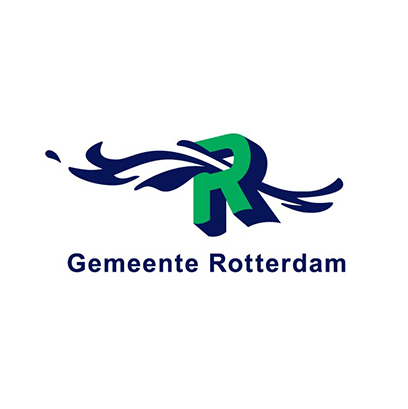 The Municipality of Rotterdam, with support of Get in the Ring, is looking for innovative solutions to make Rotterdam citizens include more exercise in their daily routines. The municipality wants to increase population health and daily exercise such as taking the bike instead of the metro, has a big influence on overall health and well-being. With 633.000 inhabitants, Rotterdam is the second largest city in the Netherlands. With a large network of trams, metros, busses and trains, the need for daily exercise has reduced to the bare minimum. The municipality has an active approach in improving the health of its citizens, and supports various programs to increase population health. Rotterdam has a relatively high percentage of residents with a low household income. People with low education and low income tend to live shorter lives and to suffer more health problems at an earlier age. Furthermore, one in 6 Rotterdam inhabitants has literacy problems, which goes hand in hand with poor health as people with low literacy struggle to comprehend health issues. The percentage of overweight citizens in Rotterdam is very high, with 50% in 19 years and older and 64% in senior citizens (65+). Diabetes type 2 has increased from 6,5 to 8% in the general population and from 13 to 20% in senior citizens. The Rotterdam municipality aims to improve the health of its population by increasing daily exercises. We are looking for solutions that will make the inhabitants of Rotterdam incorporate exercise on a daily basis without actively noticing it. Taking the stairs instead of the elevator or escalator, going to work by bike or foot instead of by car or public transport, getting of your tram a stop early to walk the remaining part or encouraging standing or walking instead of sitting at your desk or in a waiting area. Do you have a solutions in the line of reward programs, creative stimuli and nudging, environmental solutions or wearable tech? This Challenge is for you! execute the pilot project in the Netherlands. The municipality will select the most innovative and promising companies they wish to work with.